Criswood Farm and Tack Shop offers Beginner, Intermediate and Advanced Horse Riding Lessons at our Hoadly Road location and serves Woodbridge, Dale City, Clifton, Fairfax Station, Manassas and surrounding communities in Northern Virginia. The stable is exclusively operated by the Christopher family. We have a large indoor arena for the winter months and a large outdoor arena for warmer days. Our qualified and accredited staff of horse instructors teach English and Western Riding Lessons daily and every staff member is an experienced riding instructor. Our accredited instructors can teach small groups, and morning, weeknight and weekend classes are available in our indoor and outdoor facilities. $35 per person - Series of 8 lessons totals $280. Call Connie for group lesson dates and details. *Call Connie for other group hours that may be available. Semiprivate $60 per person - Series of 4 $240. Call Connie to schedule a time for your lesson. *Space may be limited on the week-ends. Full Board costs $500.00 per month (Stables operated exclusively by the Christopher family). 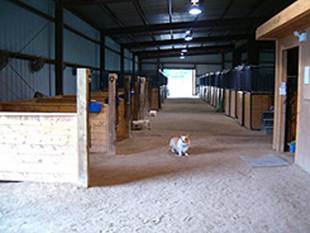 Boarding cost includes free trailer parking and a large indoor arena. 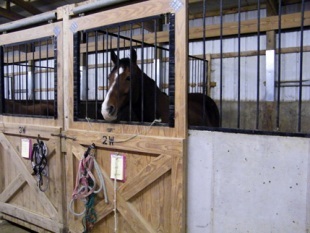 If you are interested in boarding at a barn that offers you and your horse TLC and a friendly stress free atmosphere call us today because stalls are limited. Our first goal at Criswood Farm and Tack Shop is to keep our riders safe. Our second goal is to make every rider's experience fun and incredibly enjoyable. Our third goal is to help our riders achieve their own personal horsemanship goals - whatever they may be. We have provided release forms for you to print out and complete before starting your lessons. If you have questions please call Connie at 703-590-4224 for additional information concerning our safety guidelines. Looking for qualified Part Time and Full Time Instructor Positions to teach English Balanced Seat and/or Western Lessons. You can email Connie at criswoodfarmandtackshop@comcast.net or call 703-590-4224 to obtain information. Criswood Farm and Tack Shop is a local Prince William County, Virginia business.